The issue of wages and social justice is one of the most urgent in Ukrainian society, but it is also the most painful one. Thousands of Ukrainians, due to circumstances, are forced to seek a better fate in other countries. And those Ukrainian citizens who still remain, do not feel that their work is properly appreciated. After all, wages should not only ensure physical needs of a person, but also his/her maximum development, including dignity. That is why the state, employer and employee must take on social responsibility for improving their well-being. 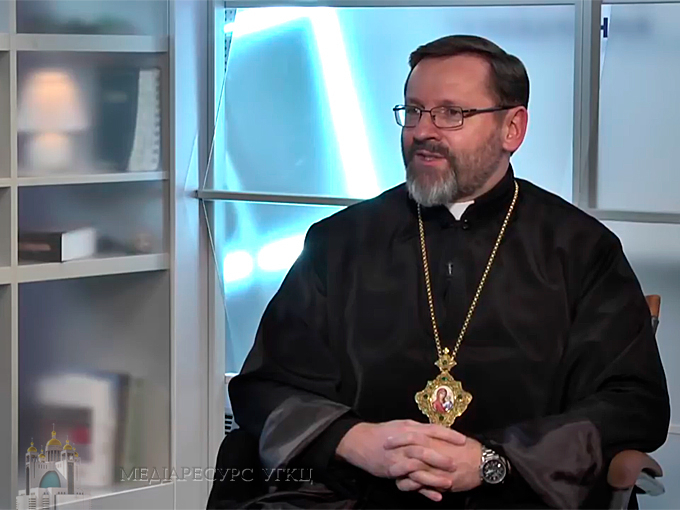 In general, the Father and the Head of the Ukrainian Greek Catholic Church, His Beatitude Sviatoslav, spoke about this on Saturday, February 17, during the live broadcast of the Open Church program on social justice. "When we talk about decent wages, we primarily rely on the concept of the dignity of a human person. We understand that salary is not only to assure some of his basic needs, but also to feel his own dignity. A person should know that the society and the employer treat him with due respect. After all, everyone needs the necessary conditions for the development of their gifts and talents, spiritual and cultural level," said the spiritual leader at the beginning of the program. The hierarch claims that he is very upset when we often talk about wages and we are subconsciously thinking of such a payout, which our country now puts forward, in terms of basic or minimum wages. In his opinion, the minimum wage not always can ensure decent development of an individual in Ukraine. So the Church does not say so much about a certain amount, as about other aspects that must be assured. After all, there are professions that require long-term training, a large personal contribution on the part of a person. The concept of decent wages is based on this. The Head of the UGCC during the program also answered questions about the unofficial salary. He believes that "salary in envelopes" is a great offense and falsehood. "I think that this kind of salary is a disdain for the person who works. Why? On the one hand, such a salary does not provide all the necessary social guarantees for an employee. Therefore, it is not worthy of the employee who sacrifices his personal skills, efforts, time and attention in order to work," stressed the Head of the Church. - "On the other hand, it is a great offense for the state, because it can not then properly develop and provide decent conditions for creating common good. Therefore, every employer must feel his duty of social responsibility!" His Beatitude Sviatoslav added that now skilled managers (who understand how to develop their businesses) are aware that they also need to invest in their employees. Instead, the shadow wage is a refusal to invest in a person who works. It is clear that such a relationship between the employee and the employer (where part of the salary is hidden in the shade) creates such circumstances when a person will not work in such a place for long because he feels not properly respected. "It is interesting and pleasant to see that after the Revolution of Dignity, there was a social request to abandon "wages in envelopes." The state should create appropriate conditions, circumstances in order to motivate employers not to pay their employees "wages in envelopes," said the Head of the UGCC. In addition, he urged the viewers to get used to the fact that we have a duty to pay taxes, because otherwise we refuse to build our own state. However, fair relations between the state, the tax system and those that create jobs (avoiding excessive taxes, tax pressure, etc.) should be established. "The state must respect those who give salaries, who develop businesses which create jobs for its citizens! Unfortunately, I have such a feeling that the relationship between an honest employer, an honest worker and an honest state that duly respects both the first and the second is not yet regulated! "- emphasized His Beatitude Sviatoslav.